VEX Robotics by HEXBUG encourages STEM learning through hands-on play as you construct your very own jumbo-sized robot and customize its programming. The Ant kit includes over 150 snap together pieces and a centralized brain to bring it to life. Drive the robot manually with a remote control, or choose autonomous drive mode and watch the Ant scurry around all by itself, mimicking real-life movement. This kit is cross-compatible with other VEX Robotics kits. The Ant includes 6 wheels, dual bump sensors and interlocking gears. It uses its bump sensors to run away from obstacles in its path, and can even climb over some obstacles with its large wheels. There are 64 different programming variations to choose from. 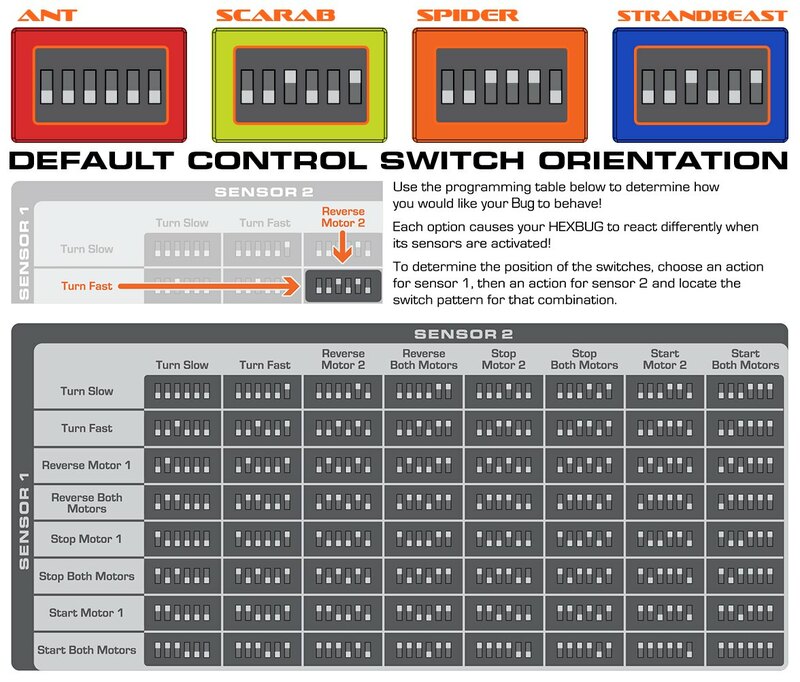 To program, simply flip a series of switches on the robot's brain, allowing for quick experimentation with different modes to determine how it reacts when the sensors are activated. Three AA batteries are required in each Ant and one 9V battery is required in each remote. Batteries not included. The ant was a hit on Christmas day for my nephew! Constructed with a little challenge for him then never put it down the whole day.